During the past few years, Punjabi has attained a fairly high profile in Canada, locally, provincially and nationally. We see a lot of signs in Punjabi at prominent government and private institutions, hospitals, businesses, YVR and public places. Organizations like ICBC are now offering their claim services in Punjabi as well. 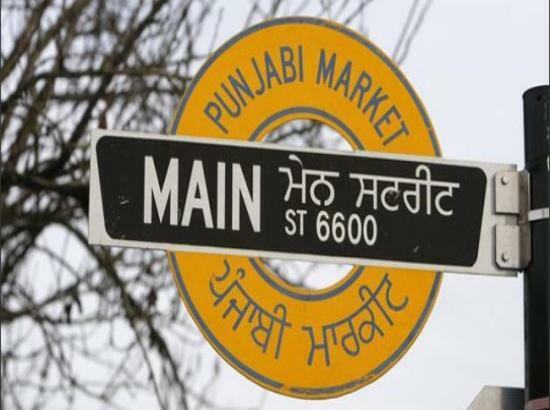 Signs like: We Speak Punjabi- are prominently displayed in banks, hospitals, city halls, credit unions and various other locations. Punjabi is now fast becoming the language of employment. Punjabi Language Education Association (PLEA) continues to work hard in promoting Punjabi at all levels. However, it can do only so much. PLEA needs your help in becoming goodwill ambassadors for our mother tongue. It is true that we have come a long way since Punjabi was officially recognized in 1994 as one of six second languages taught in BC’s public schools. With PLEA’s efforts and community and Indo-Canadian media support, Punjabi classes have been under way at various elementary and secondary schools, colleges and universities around Metro Vancouver. Also, it is encouraging to note that well-wishers of Punjabi in other parts of Canada are making efforts in promoting Punjabi wherever they can. On top of that, it is very gratifying to note that a lot of other institutions like Khalsa Schools, Sikh Academies as well as Gurdwaras are doing an excellent job in this regard. On behalf of PLEA I would like to commend them all. Surrey has always been a great model for us. At present Punjabi is being taught in six elementary and nine secondary schools in Surrey. The six elementary schools where Punjabi classes are under way are: Beaver Creek, Green Timbers, Newton, Strawberry Hill, Chimney Hill and T.E. Scott. The nine high schools are: Enver Creek Frank Hurt, L.A.Matheson, Panorama Ridge, Princess Margaret, Queen Elizabeth, Sullivan Heights, Tamanawis and SAIL. In addition to that Punjabi classes are being offered in North Delta Secondary School, New Westminster Secondary and Queensborough Middle School in New Westminster, Burnaby South Secondary in Burnaby, five schools in Abbotsford as well as four Universities-UBC, S.F.U., Kwantlen Polytechnic University and University of the Fraser Valley. PLEA would like to add more schools to these lists. However, it needs community support in order to do so. In this context, I would like to urge well-wishers of Punjabi to become its ambassadors and organise parents at schools where there is a large number of students interested in enrolling in Punjabi classes. After organizing at the local school level, they should contact the school officials and PLEA to follow up on this. We need to encourage parents and students to take more pride in their mother tongue Punjabi. Like previous years, PLEA will be celebrating the 16th International Mother Language Day on February 23 at Kwantlen Polytechnic University, Surrey Campus Cedar Building Atrium beginning at 1:30 PM. PLEA is very thankful to the University and the Deepak Binning Foundation for opening the KPU doors for PLEA and this celebration. It is likely that there will be free parking for the participants on that day. Also, there will be light refreshments. On behalf of PLEA I would like to extend this invitation to our community and well-wishers of Punjabi language to join us on Saturday, February 23. For further information please feel free to contact me at 604-836-8976 or Sadhu Binning at 778-773-1886.